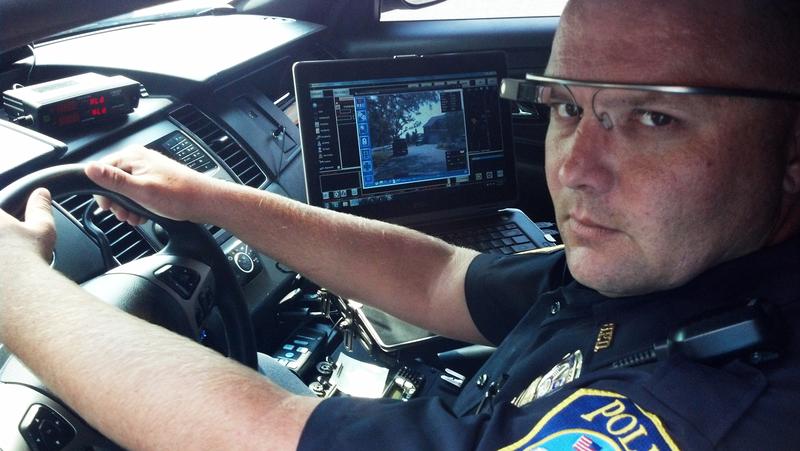 Should Google Glass be banned for drivers? Google Glass isn’t even on sale here in the UK but the authorities are already looking to pre-emptively ban its use by drivers of motor vehicles. There have been similar motions from law enforcement in the US too. It’s at this point I have a real issue with the ban. “It is important that drivers give their full attention to the road” – so does that mean that looking at my instrument cluster in my car should also be banned? Looking at my speedo requires me to look down, take my eyes off the road and to shift my focus. Then what about tuning the radio, or looking at the directions on SatNav? All of these things potentially shift my attention from the road ahead to something inside the car. So on the same basis should everything that the driver looks at inside the vehicle also face the same ban? As a Google Glass user and convert I have to say that the ‘authorities’ have really got this wrong and that the technology-backward bureaucrats making these decisions clearly do not understand Glass nor have they, most likely, even tried it for themselves. Don’t get me wrong, I’m all for road safety, but I firmly believe that tools such as Google Glass can improve road safety, not reduce it. Glass shows information in front of the user, and you don’t have to ‘take your eyes off the road’ to see it. Showing navigation directions, vehicle speed and other important, relevant to driving alerts in what is effectively a HUD is way better than having to look down at the inside of the vehicle, instrument cluster or elsewhere in the vehicle. If HUD systems are good enough for the military, and costing billions in development, then why not similar systems for in-car use. There also seems to be a general lack of understanding when it comes to Google Glass. They are not ‘always on’ or ‘always recording’ and the display only turns on when the user wants it to. When there is an info update there’s an audible alert that then allows the user to turn on the display if appropriate or to simple ignore it. Further consider the safety aspects of Google Glass, and other similar products when they come to market, when there is an incident on the road. If Glass was linked to the vehicle systems it would know if there had been a collision, if an airbag had deployed, the vehicle location via GPS etc. With its compass and G-sensors the direction and severity of the impact could be recorded and upon there being a collision the camera could be enabled and video could be captured for evidence at a later date. So yes, I think the ban is all backwards. Should Google Glass be banned? NO! There is much that Google Glass does to improve safety rather than detract from it and I firmly believe that the authorities have this one totally wrong. Perhaps a proper study into the safety would be better rather than this whole technophobic approach to something new. If the authorities would like to properly investigate then I’m sure Google would lend them a couple of headsets to try out or you can contact me and I’ll let you try mine out! So readers, what do you think? Are the authorities right to ban?